Madison just turned 1-years-old, and this was her first birthday. Madison mother wanted to give her a birthday cake and wanted to see what she would do with it. After having a quick sample of the cake, Madison went full force and tried to eat the cake in one go. The family will treasure this adorable cake eating video for years to come. 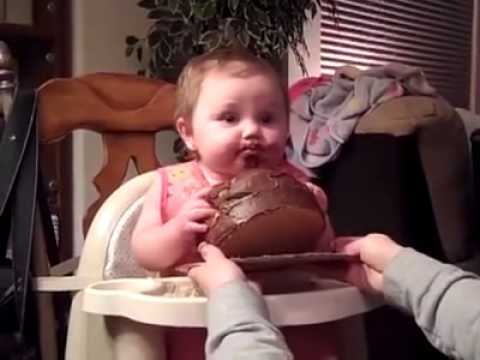 Just a One Year Old Baby having her First Birthday Cake and it's hilarious! !